Silver Lake, CA – The Los Angeles Police Department has announced the arrest of a suspect connected to the death of a woman in Silver Lake, a suburb of Los Angeles, Wednesday morning January 26th. Officers confirmed in a press release that 47-year old Norwalk resident Freddy Prieto, a janitor for a Los Angeles County middle school, had been arrested Thursday morning on suspicion of vehicular manslaughter after CCTV video footage was obtained showing the alleged incident. LAPD officials said 3 tips from the general public led to Prieto’s capture and arrest. According to officers, the crash occurred around 6:00 A.M. in the 1800 block of Hyperion Avenue in Silver Lake. The CCTV footage obtained by police shows a tan colored sedan spinning out of control across northbound lanes along Hyperion Avenue. The car strikes a parking sign along with trash cans where the victim was standing coming to a stop near some garages. IN the video you can see the 57-year old victim who may have been collecting recyclables from those trash cans. Prieto can be seen exiting his vehicle to inspect the damage before returning to his vehicle and driving off. Her body was found hours later, around 7:30 A.M. Authorities’ say they do not know if Prieto realized he had struck a person as the victim’s body was found covered by trash. The 57-year old victim was identified by relatives as Christina Garcia. Garcia’s relatives said that she had been on her morning walk, a daily routine that she had done for the past 15 years. They say she would often go out for a walk and collect cans and other recyclable items to help pay for her daughter’s tuition and books at Los Angeles City College. 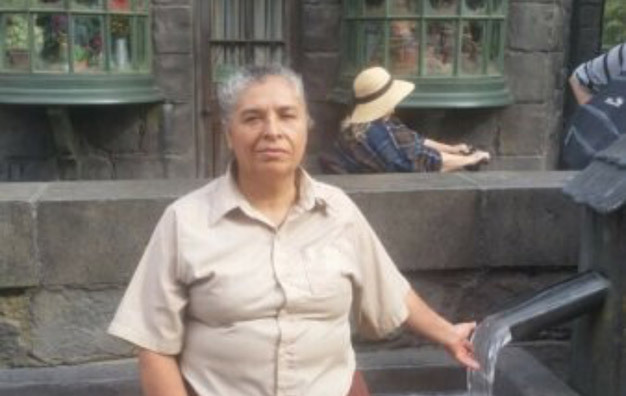 “She was a great woman,” said her son, Edwin Aleman. “She had a big heart. She wasn’t just a mother of three. She was newly a grandmother.” While the crash occurring sometime around 6:15 A.M. and with Garcia not being found until about 7 A.M., Aleman said, there’s chance she might have been able to be saved. “We will never know if she died instantly, or if she was still alive,” Aleman said.